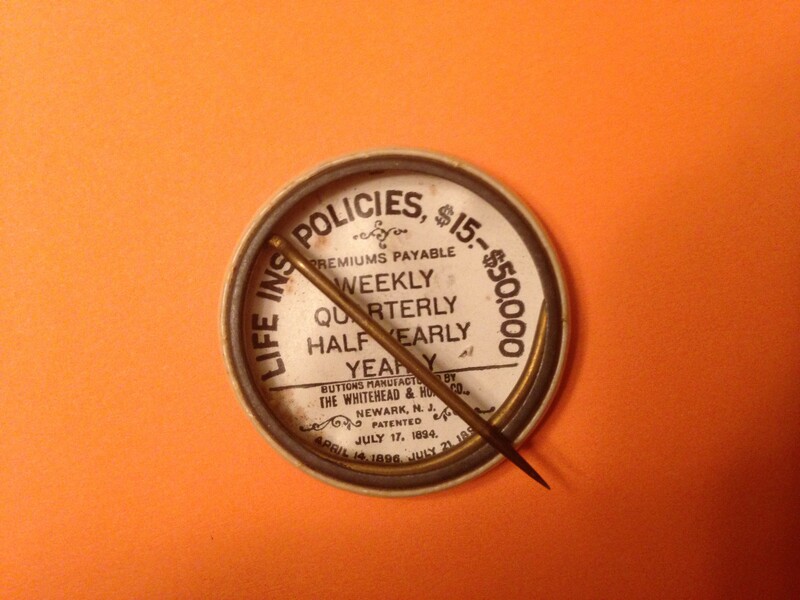 Started in Newark, New Jersey in 1875, Prudential Financial was originally called The Widows and Orphans Friendly Society and then the Prudential Friendly Society and was founded by John F. Dryden, who later became a United States Senator. It sold one product in the beginning, burial insurance. 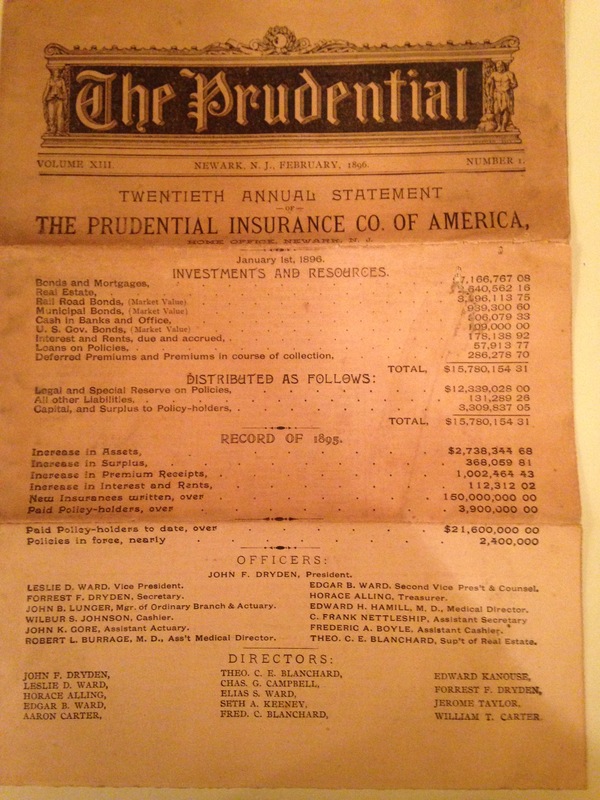 Dryden was president of Prudential until 1912. He was succeeded by his son Forrest F. Dryden, who was president until 1922. 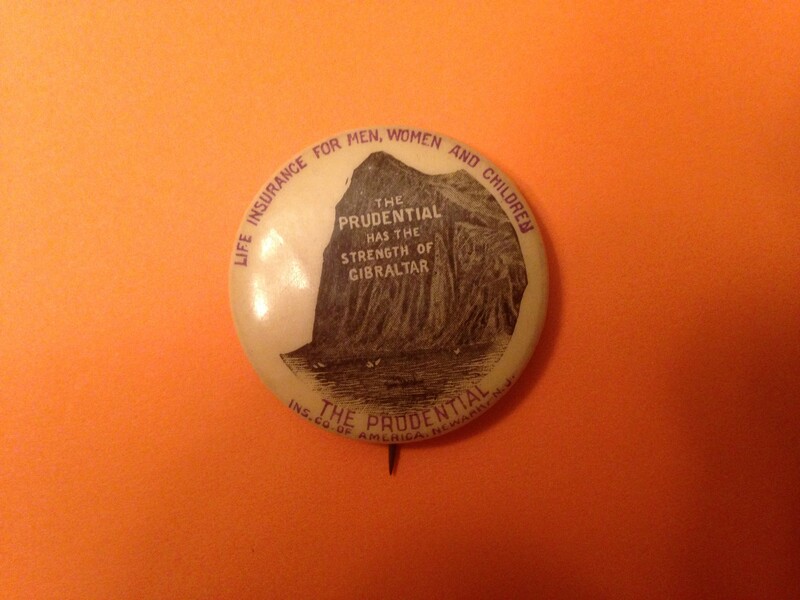 The use of Prudential’s famous logo, The Rock of Gibraltar, began after an advertising agent passed Laurel Hill, a volcanic neck, in Secaucus, New Jersey on a train in the 1890’s. 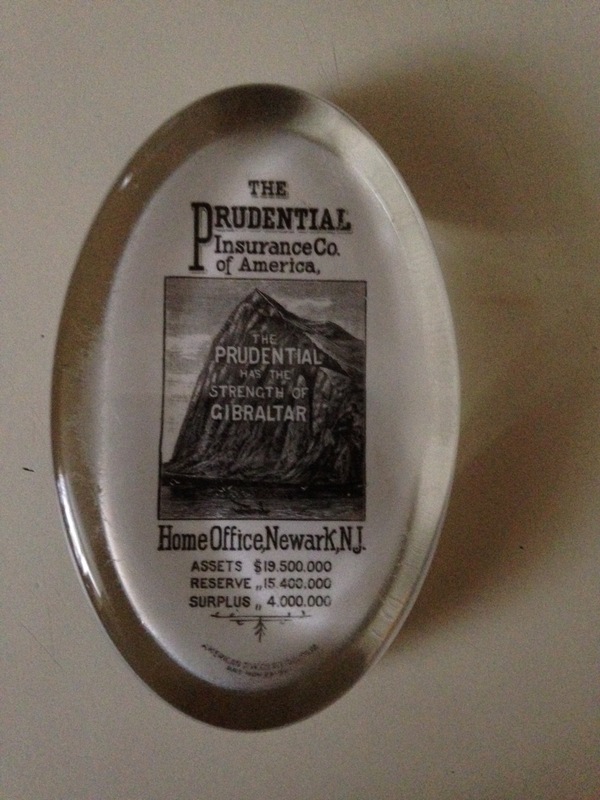 The related slogans “Get a Piece of the Rock” and “Strength of Gibraltar” are still widely associated with Prudential, although neither is used in current advertising. This logo and imagery endures to this day. In fact, The Prudential Arena in downtown Newark is referred to as “The Rock”. 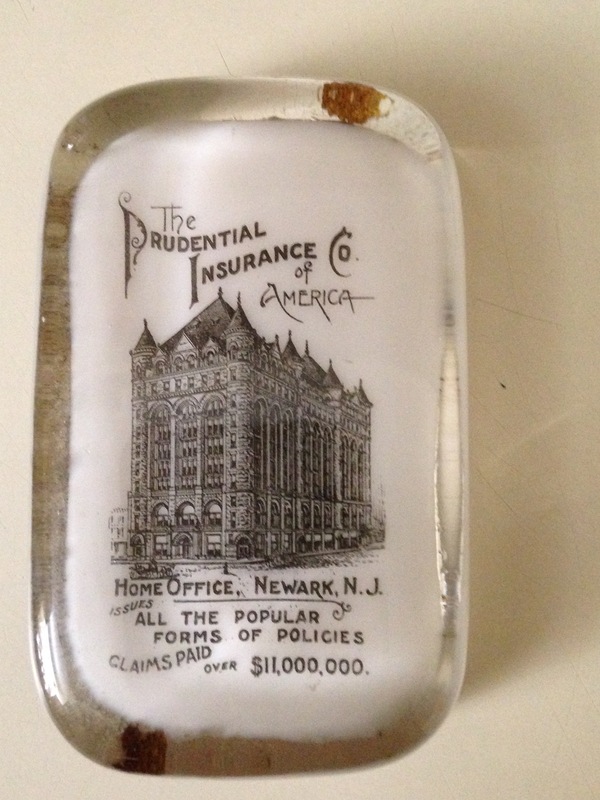 As was the custom with large companies, then and now, Prudential issued many novelties to advertise the company. Among these items were paper weights, calendars, letter openers, post cards ,numerous brochures, newsletters and the like. I have included some of them here.